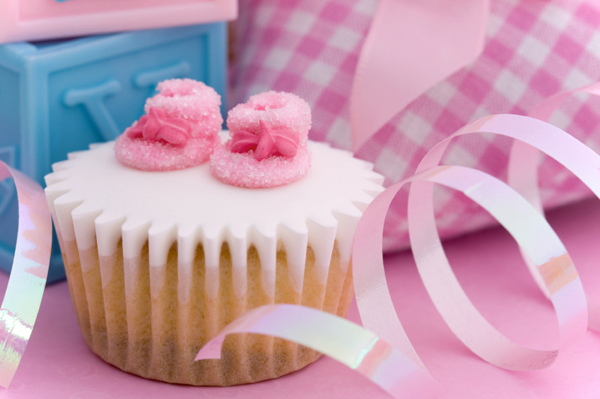 Should you have a baby shower for the second baby? Is it polite to have a baby shower for the second baby? Whether you are expecting baby number one or baby number two, there’s plenty to celebrate! However, when it comes to baby showers, many second-time moms are left wondering about another baby shower. If you’re trying to decide which side of the baby gate you’re on, check out these thoughts from real moms, browse ideas for second showers, and learn baby shower etiquette. Everyone loves to celebrate a new baby, so many moms are on board when it comes to making merry over their pea in the pod. For some, it is a matter of showering their second child with the same attention their first child’s pending arrival received. “I felt like I had to have a shower for my second child - if I didn’t, it would have felt like I was of the mindset that they weren’t as important as the first,” shares Alana Morales of www.DCTheBook.com. Parents who have a big age gap between offspring may not have kept all the necessities from their first child, leaving a need for new baby gear. Product recalls and updates in baby technology also present a new reason to register when years have passed between births. If your second child is close in age to the first, and is of the same gender, you may not feel the need to hold a baby shower for your baby-to-be. “The second time around, I was…pregnant with twins. I had almost everything I needed, and I was having girls, so they could use clothes from their older sister,” says Robyn Davis Sekula of New Albany, IN. If you’ve decided to have a baby shower and are looking for an alternative way to celebrate your second visit from the stork, opting for a less formal celebration could make you feel more comfortable. “[I] have designed several showers for moms on their second baby, known as a "Sprinkle" or "Sip and See," advises party planner Chris Nease. A “sprinkle” shower lets your friends and family stock you up with consumables, from diapers to bibs, while a “sip and see” shower is held open house style after the baby is born. “In my experience they have been very grateful to have their second baby be celebrated just as much as the first,” adds Nease. If it is the gift-giving that has you worried, “have a Diapers and Dinners party,” suggests mom of 2, Jennifer Marshall of HappyMamaGifts.com. “This can help mom and dad tremendously in the first few weeks and is a fun, fresh way to celebrate.” But, remember, using you registry is an easy way to let people know what you need. Second-time parents may not need the crib or swing, but registering for diapers and consumables is acceptable, too. So, when it comes to baby showers for baby number two and beyond, there are no steadfast rules! Let your need, your comfort level, and the determination of the people who want to throw you a shower be the foundation of your decision. And then, count your blessings that your new baby is already so loved!